Authorities said a "security issue" forced the closing of the New Mexico facility. A solar observatory in New Mexico that shut down mysteriously on Sept. 6 is reopening after law enforcement authorities investigated a "security issue," the organization that manages the facility announced Sunday. The unexpected shutdown of the Sunspot Solar Observatory at Sacramento Peak, New Mexico, set off a flurry of wild rumors, with some wondering if the facility had found evidence of aliens or detected a deadly solar "superflare." But the shutdown was taken as a precautionary measure after a suspect under investigation “potentially posed a threat to the safety of local staff and residents,” the Association of Universities for Research in Astronomy (AURA), which manages the observatory, said in a statement. The association gave no further details about the investigation or the nature of the threat and declined to comment further. Conspiracy theorists weren't the only ones who had been puzzling over the shutdown. "The FBI is refusing to tell us what's going on," Sheriff Benny House of Otero County told The Alamagordo Daily News last week. "There was a Blackhawk helicopter, a bunch of people around antennas and work crews on towers, but nobody would tell us anything." Founded in 1947, the observatory is in the Lincoln National Forest, 18 miles south of Cloudcroft, New Mexico, in the southern part of the state. 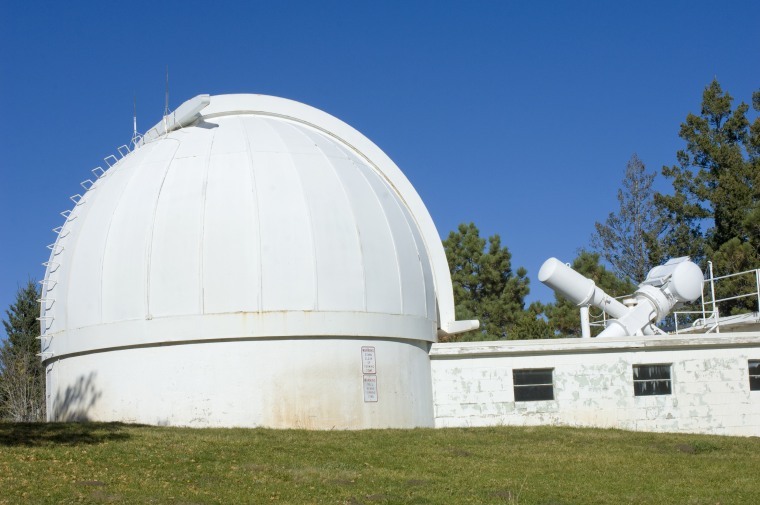 It has several telescopes, including the Dunn Solar Telescope, once considered one of the world’s best.